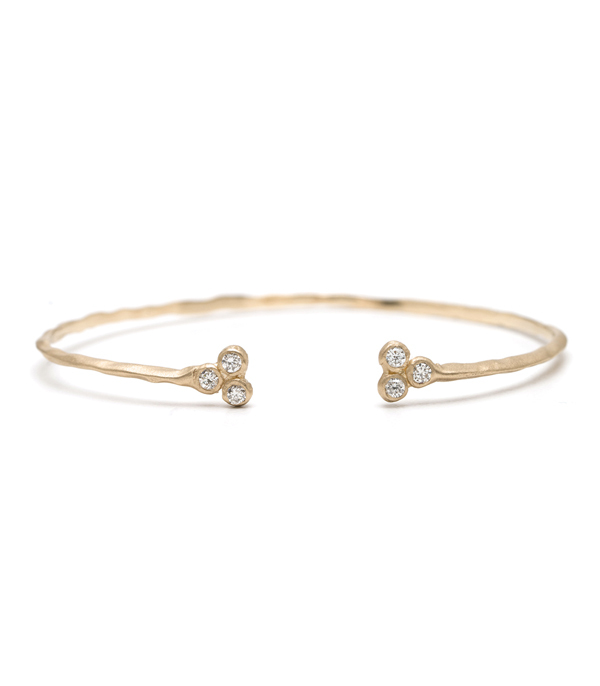 Thin and malleable, this textured cuff is meant to wrap tightly around the wrist and layer, layer, layer! 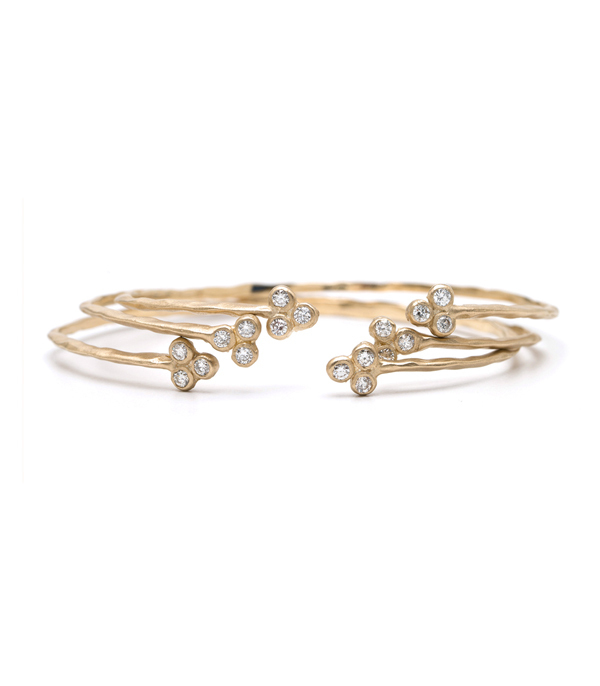 A triple diamond cluster finishes each end (0.30 ctw) and adds a sparkly touch. 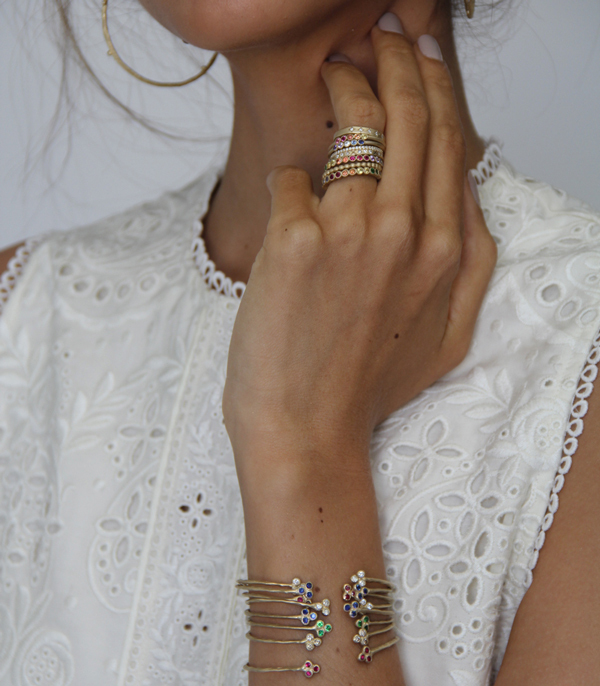 Pair this with our Trilogy Textured cuff I for a brilliant combination.